to learn about and commemorate the sacrifices of their predecessors." World War One was a watershed in American history. The United States' decision to join the battle in 1917 "to make the world safe for democracy" proved pivotal in securing allied victory — a victory that would usher in the American Century. In the war's aftermath, individuals, towns, cities, counties, and states all felt compelled to mark the war, as did colleges, businesses, clubs, associations, veterans groups, and houses of worship. Thousands of memorials—from simple honor rolls, to Doughboy sculptures, to grandiose architectural ensembles—were erected throughout the US in the 1920s and 1930s, blanketing the American landscape. 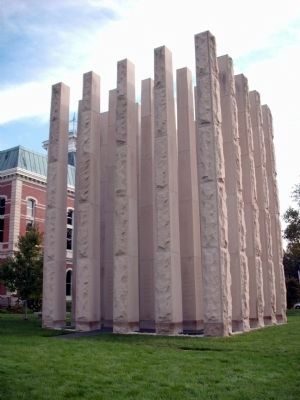 Each of these memorials, regardless of size or expense, has a story. But sadly, as we enter the war's centennial period, these memorials and their very purpose—to honor in perpetuity the more than four million Americans who served in the war and the more than 116,000 who were killed—have largely been forgotten. And while many memorials are carefully tended, others have fallen into disrepair through neglect, vandalism, or theft. Some have been destroyed. Watch this CBS news video on the plight of these monuments. 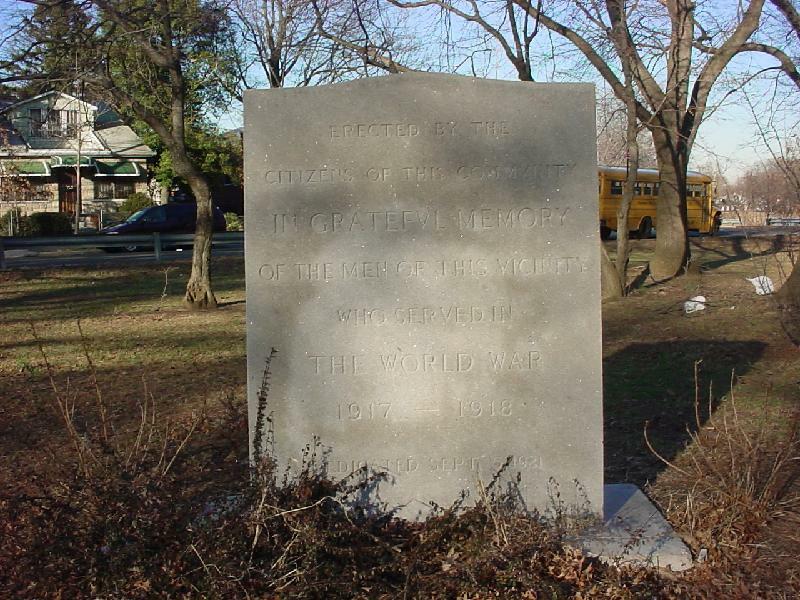 The extant memorials are our most salient material links in the US to the war. They afford a vital window onto the conflict, its participants, and those determined to remember them. Rediscovering the memorials and the stories they tell will contribute to their physical and cultural rehabilitation—a fitting commemoration of the war and the sacrifices it entailed. 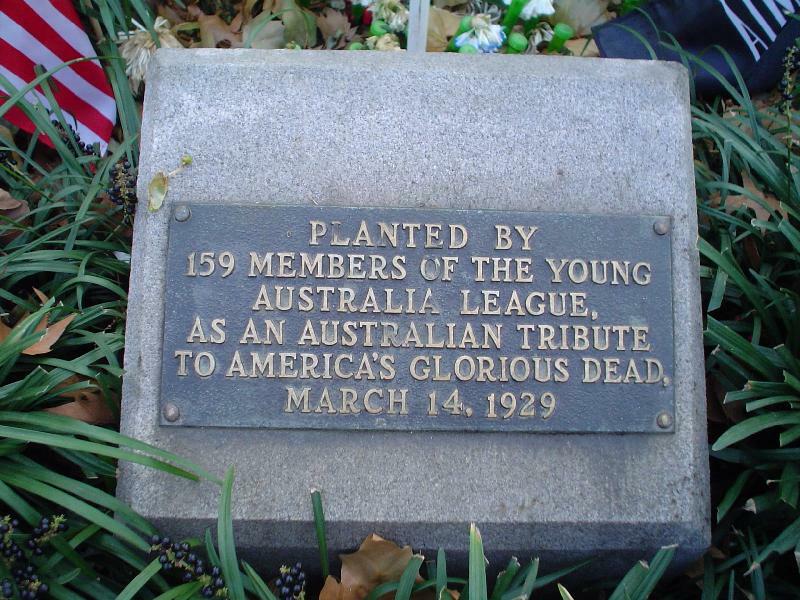 We are building a US WW1 Memorial register through a program called the Memorials Hunters Club. If you locate a memorial that is not on the map we invite you to upload your treasure to be permanently archived in the national register. You can include your choice of your real name, nickname or team name as the explorers who added that memorial to the register. We even have room for a selfie! Check the map, and if you don't see the your memorial CLICK THE LINK TO ADD IT. Address : East Morningside Drive at Rock Springs Rd. 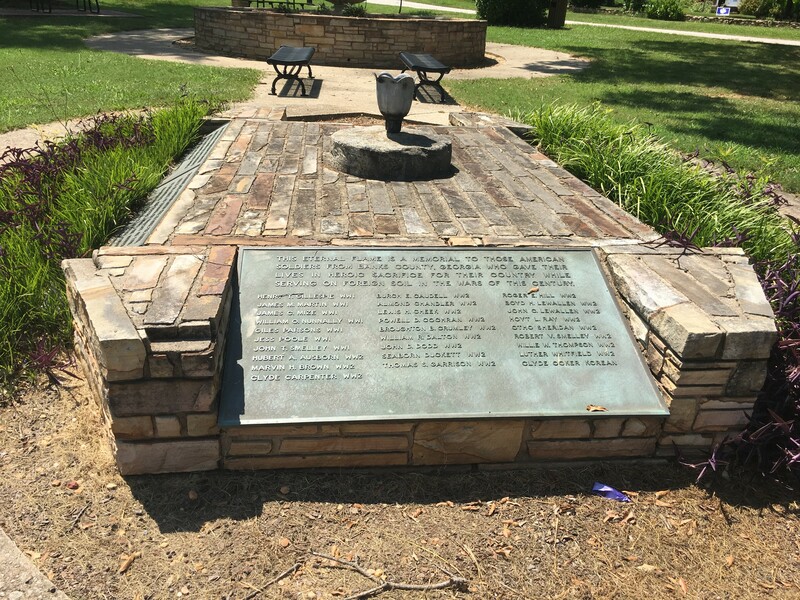 “It is sweet and glorious to die for one’s country"
Description : The Grove runs several blocks in the median of Central Avenue from Troup Street to Monte Sano Avenue, and includes a marker commemorating Augusta residents who fell during World War I. 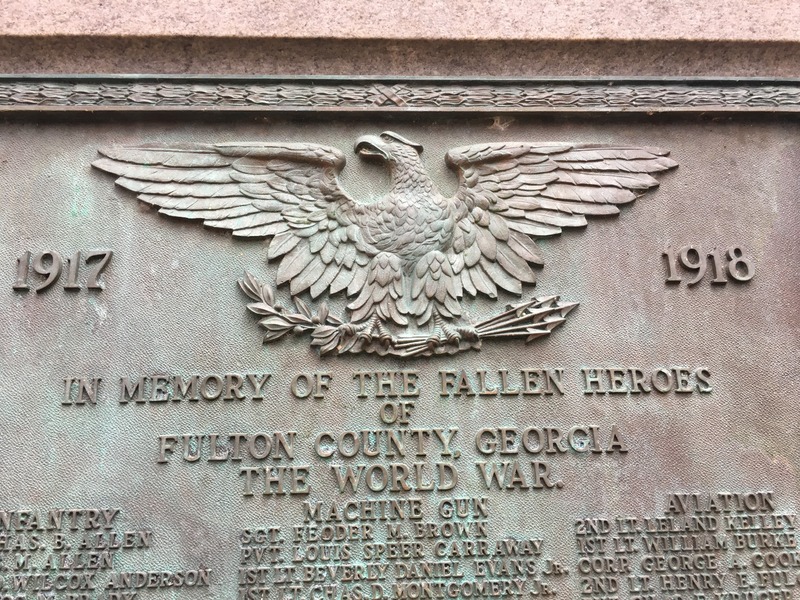 "The men of Richmond County, of every creed and color, who served at their country's call that aggression and lawless force should not dominate the world." 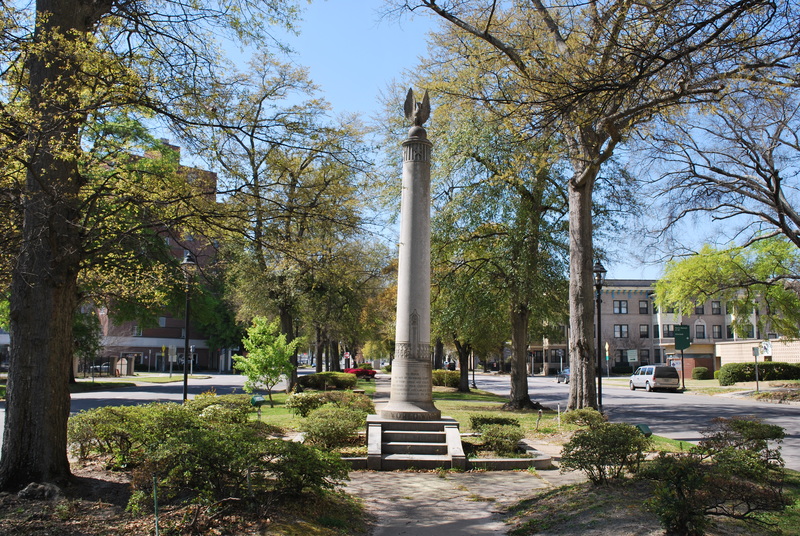 The tall, slender obelisk topped by a figure of an eagle was erected in 1940 by the Richmond County Association. 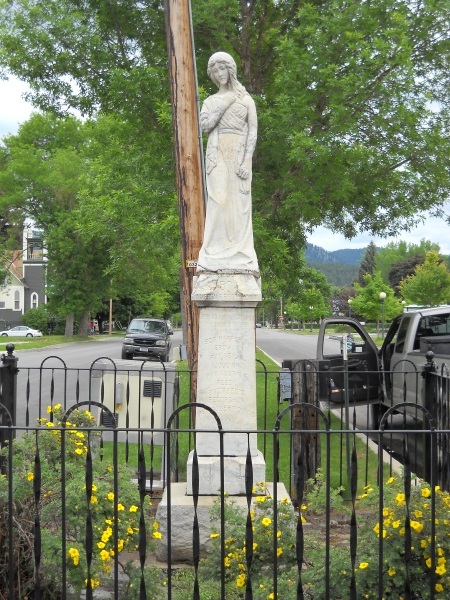 On May 30, 1922, the Austin Reedy Post 97 of the Montana American Legion dedicated a WWl Memorial Statue. It was in honor of the men who died during service in WWl. Austin Reedy was the first war casualty. Some of these men did not die in battle, but were members of the Armed Services at during WWl. All men were from what is now Lincoln County Montana. Libby is the County Seat. The Statue is on the corner of Mineral Ave. and Lincoln Blvd. 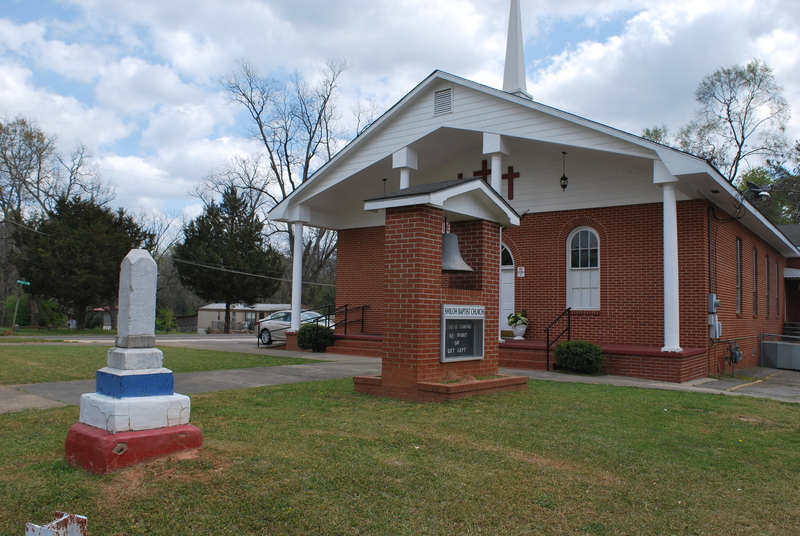 Since it's dedication it has been a rallying point for parades, speeches and community events. All soldiers originally met at the monument on Decoration (Memorial ) Day and marched to the Cemetery for Remembrance Services. 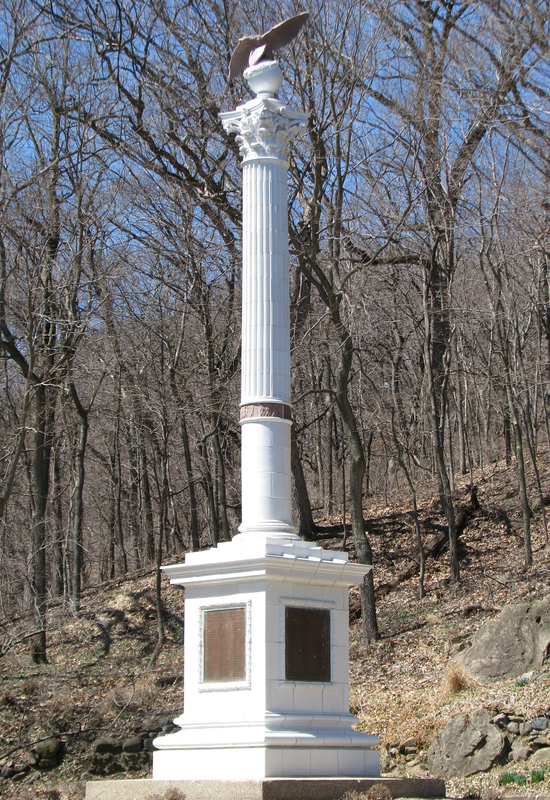 This memorial consists of a 25-foot-tall Greco-Roman column with a bronze eagle on top. 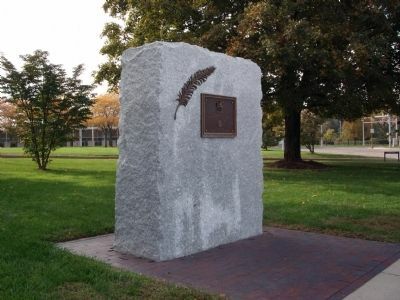 The column's base contains four bronze plaques listing the names of WW1 servicemembers. 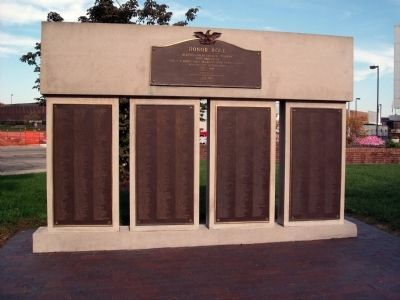 For more information about the history and upkeep of the memorial, visit the "101 Things That Play in Peoria" website linked above. 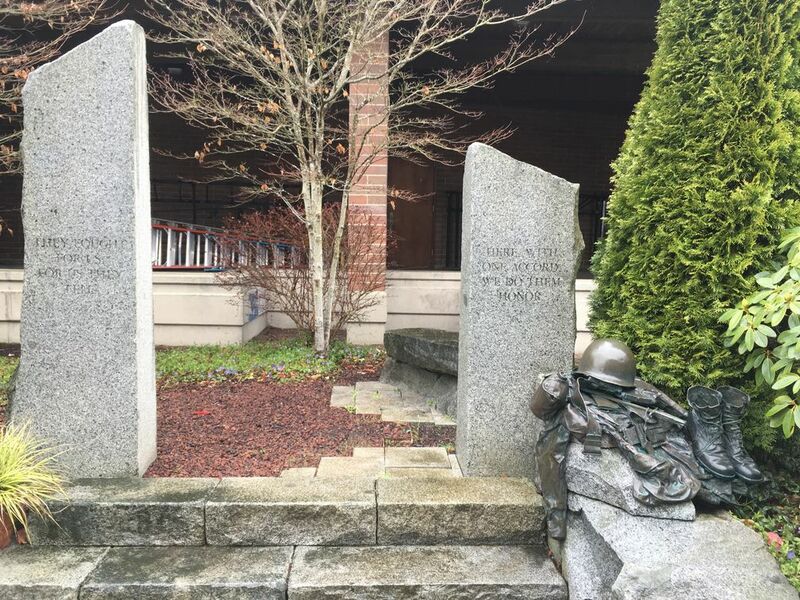 The War Heroes Memorial Monument is on the high school campus, so if you visit, you must check-in with the school office. This is a very moving Memorial Monument to visit. 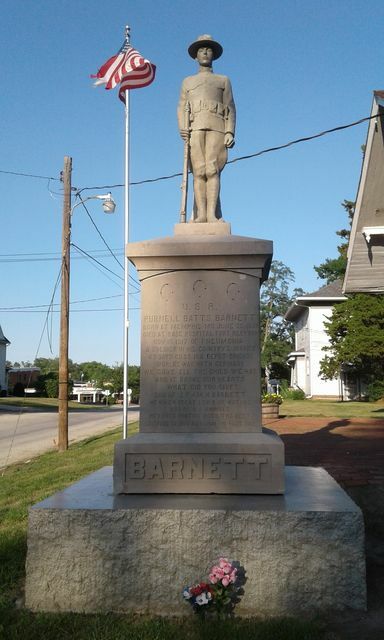 The sculpture is subdued but says more than many larger monuments and memorials I have seen and the sentiments on the granite pillars speak volumes in a very few words. 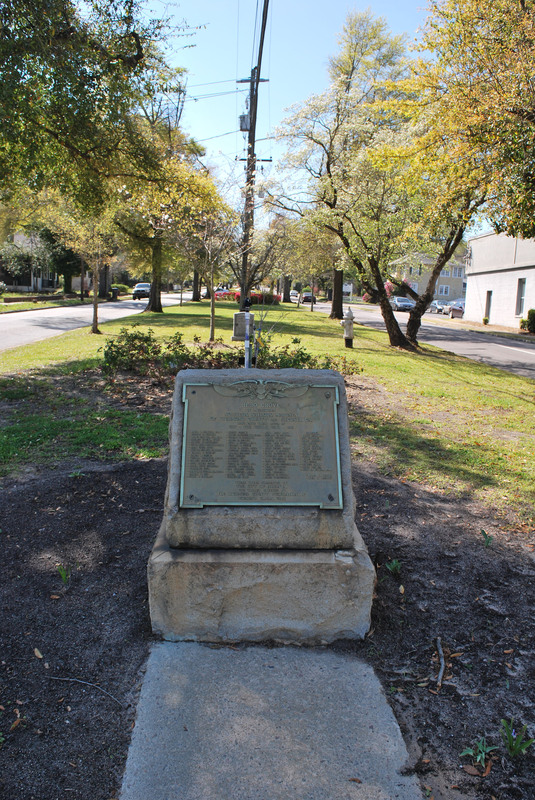 The plaques on the back side of the Memorial lists the names of island residents who “Made The Supreme Sacrifice” in defense of our nation. As you face the monument, the names on the right plaque were lost in World War 1, Korea and Vietnam. On the left side, the entire plaque lists those lost in World War 2. 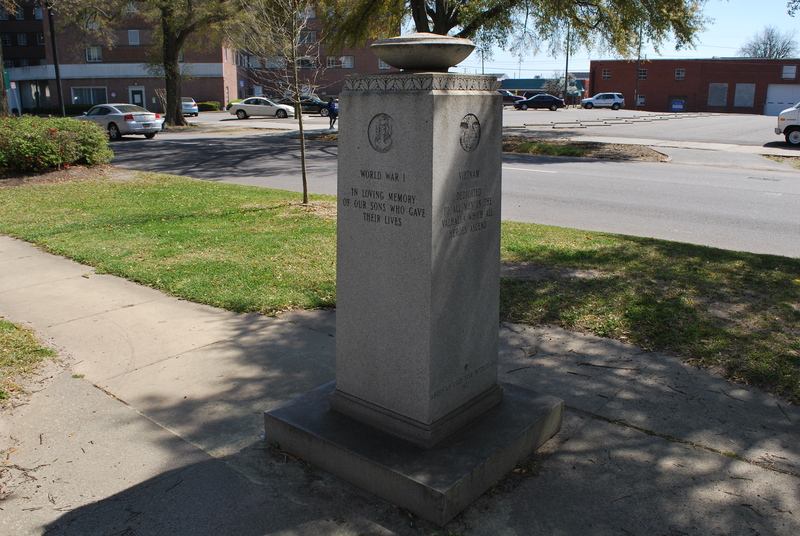 Description : The only known memorial to World War I African-American troops from Georgia. 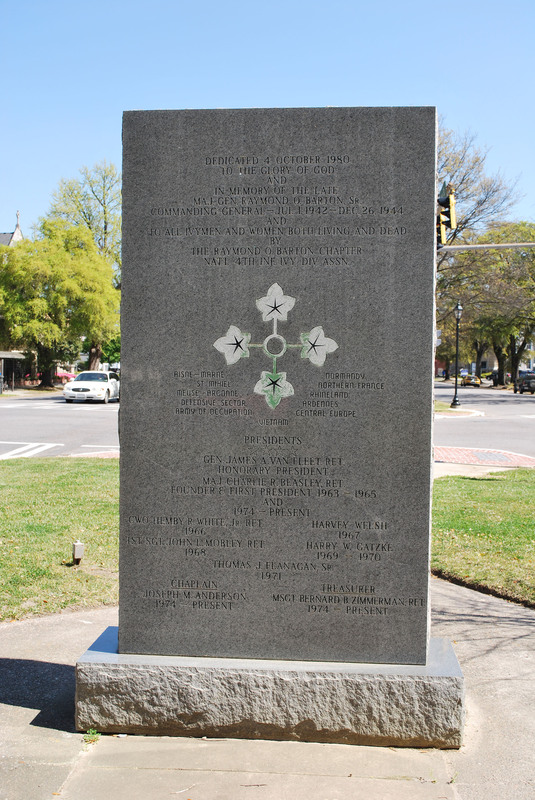 The Atlanta Constitution (Jan. 18, 1920) reported it to be the first monument to "colored" citizen-soldiers. Address : 201 W Hancock St.
A row of granite markers with each inscribed with local deaths for the Korean War, World War I, World War II, and the Vietnam War. 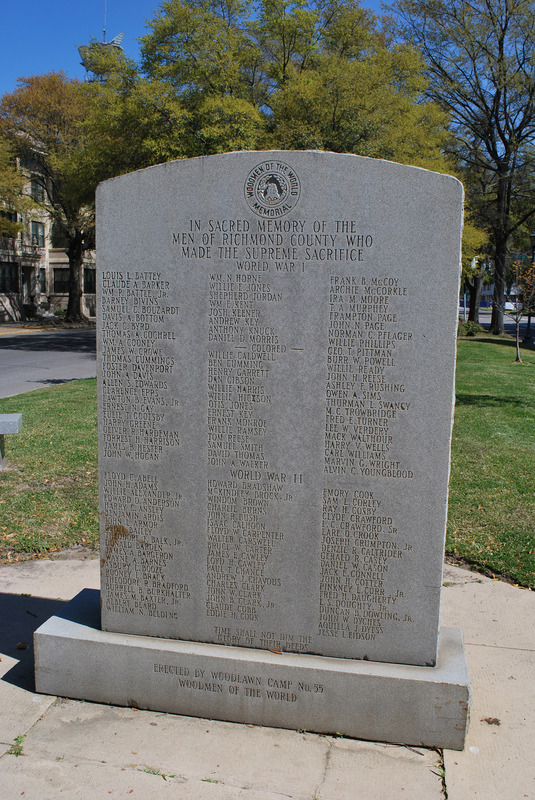 Seven names are listed on the WWI stone. A center stone is inscribed: ​“Oh Lord, support us all the day long until the shadows lengthen and the evening comes and the fever of life is over and our work is done. Then in thy mercy grant us a safe lodging and a holy rest and peace at the last”. “Flame of Freedom” Dedicated to the veterans of all wars from Milledgeville and Baldwin County on the occasion of the 50th anniversary of the American Legion. March 15, 1969, Warren & Hawkins Post 523. The American Legion. W.T. Collier, Cmdr., LW. Oden, AJD, Walter B. William, Jr., Mayor. 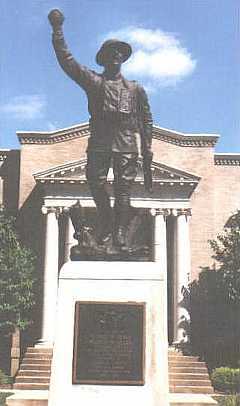 The War Memorial, located at 101 North Gay Street, Baltimore, MD, honors and serves all veterans of Maryland. The building serves as a place of remembrance for fallen soldiers and as an administrative office for veteran’s outreach organizations. 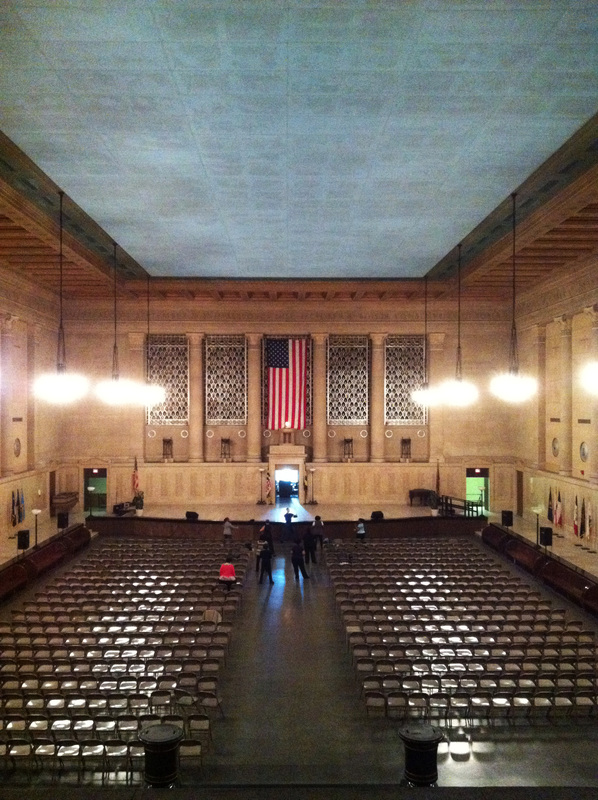 The War Memorial Commission was created under both State and City law to operate the War Memorial building. 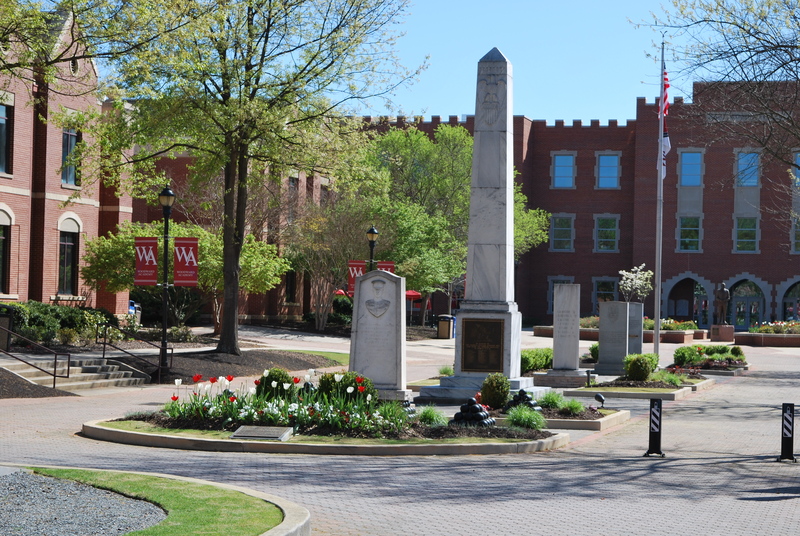 The Commission has custody and supervision of the War Memorial Building and the War Memorial Plaza. 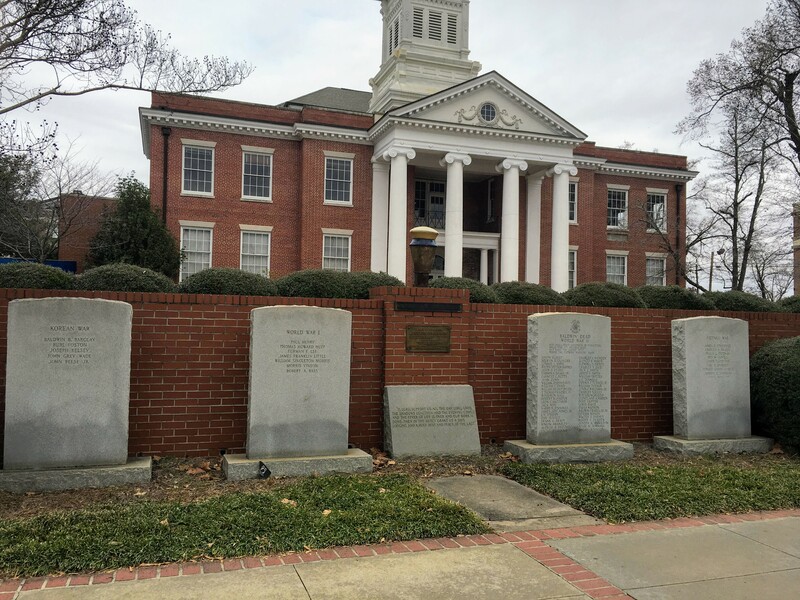 Memorial Park adjacent to old Banks County Courthouse. Plaque inscribed with names from WW1, WW2, and Korea. With Eternal Flame. This bridge originally carried US-60, but today it has been bypassed by a modern bridge. However, this historic bridge remains in use as a connector for Commanche Avenue, a northbound (one-way) city street. The bridge has been preserved, and an interpretive sign has been placed under the bridge where a trail is located. 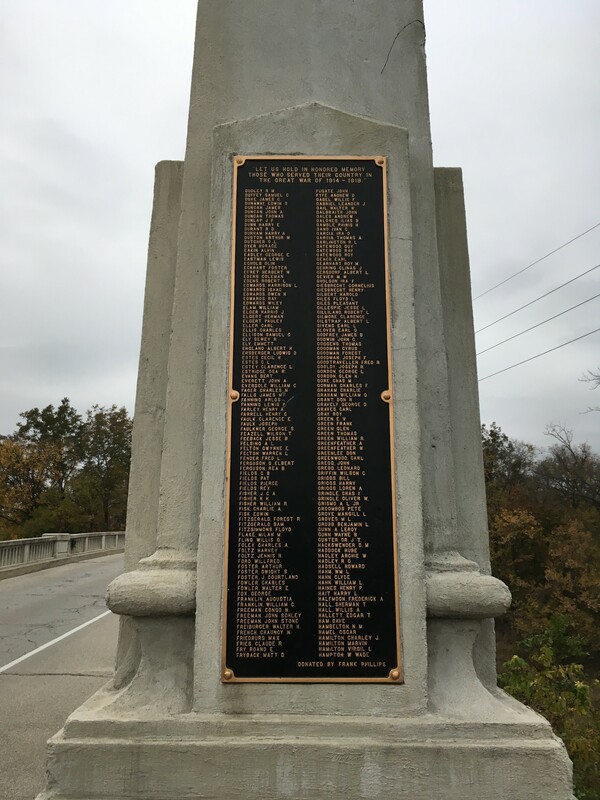 The bridge features decorative pillars with 10 plaques memorializing more than 800 Oklahomans who served during World War I. The plaques were donated by Frank Phillips of Phillips Petroleum. Plaques and pillars have been restored & refinished.